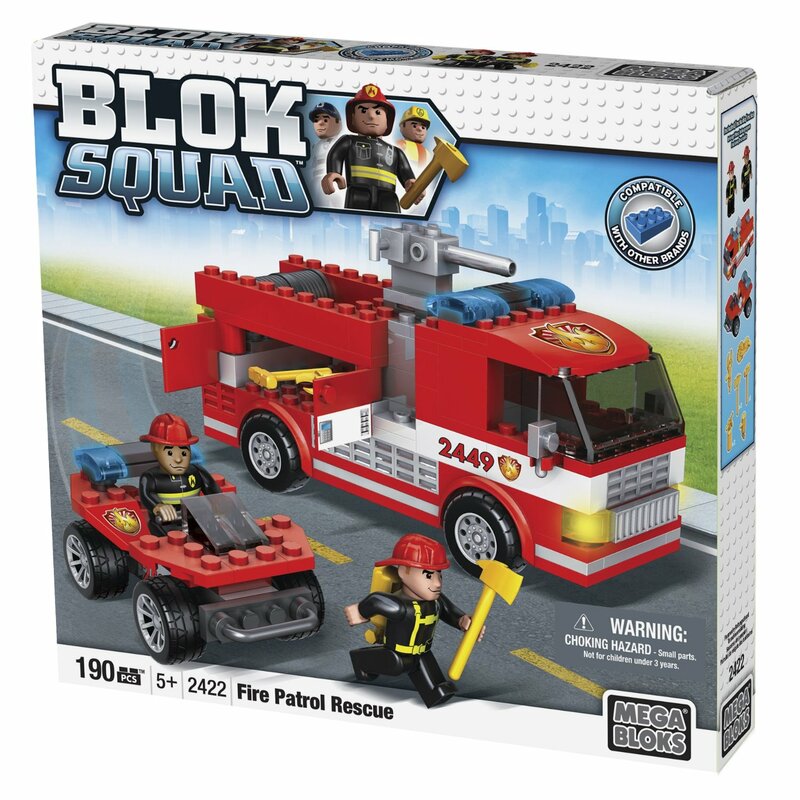 I had the opportunity to review the Blok Squad Fire Patrol Rescue from Mega Bloks. My son was excited when he opened up the box. He could not stop smiling. On Sunday, Aidan and Rod opened the box and started to build both pieces. 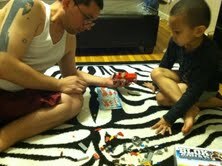 My husband decided that he was gonna have a father and son building day and it was the perfect bonding time. Follow Mega Bloks on Facebook and Twitter. Also don't forget to check out the Mega Bloks Family Club. Members receive exclusive OFFERS, CONTESTS, SWEEPSTAKES and PROMOTIONS on Mega Bloks toys. Disclaimer: I was not compensated for this review. I received a product in exchange for an honest review. those look like so much fun, my nephew would love it! Hey very cute, I just enjoy watching the kids play.